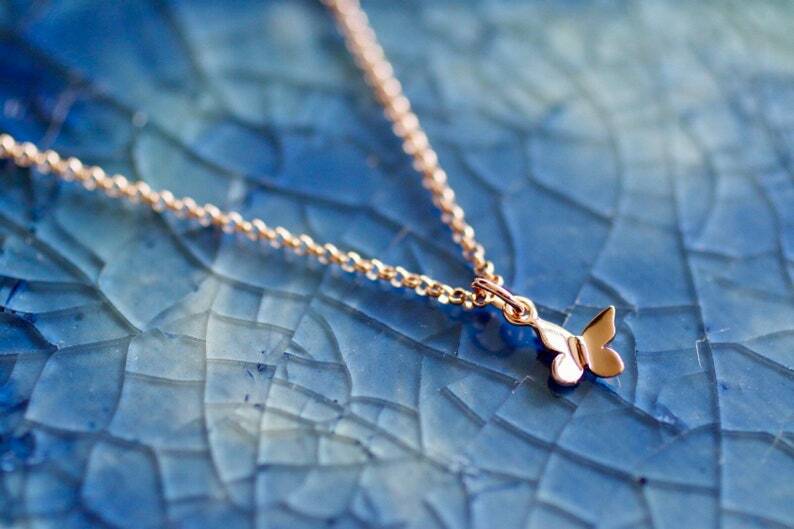 Our Sweet little Rose Gold butterfly charm necklace will make your heart flutter. Butterflies are deep and powerful representations of life. Many cultures associate the butterfly with our souls. Around the world, people view the butterfly as representing endurance, change, hope, and life. We remember our grandfather every time we see a white butterfly and this charm is a great reminder for us that he is always looking out for us! These are Rose Gold Filled and are 7mm. Choose from your choice of 16 or 18 inch rose Gold Filled Rolo style necklaces.